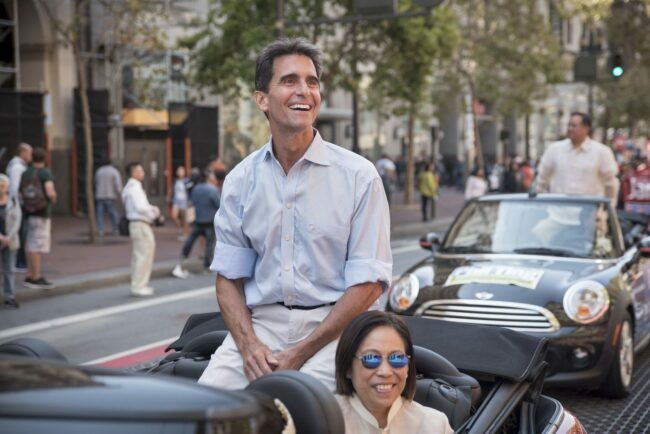 The National Union of Healthcare Workers has endorsed former State Sen. Mark Leno as its first choice for Mayor of San Francisco. Leno, who also served on the San Francisco Board of Supervisors and in the State Assembly, was California’s first openly gay State Senator. In the Senate, he authored the landmark bill that will increase the statewide minimum wage to $15 per hour in 2022 as well as legislation that would have created a single-payer healthcare system to cover all Californians. NUHW members, including mental health professionals, hospital dietary workers, housekeepers and nursing assistants, interviewed mayoral candidates in advance of the June 5 special election to serve the unexpired term of Ed Lee, who died last month. With San Francisco voters asked to rank their top three choices for Mayor, the union also endorsed Supervisor Jane Kim second, and former Supervisor Angela Alioto third. During his tenure on the Board of Supervisors and in Sacramento, Leno has been a champion for all Californians and a staunch advocate of workers struggling to make ends meet in San Francisco. As a Supervisor in 2001, he authored a pioneering bill requiring the city’s health plan to cover services for transgender public employees, and in the Assembly, he passed legislation protecting transgender Californians from discrimination in housing, employment and public accommodations. Leno was a stalwart supporter of a 60-day strike against California Pacific Medical Center, which produced a ground-breaking contract that enabled NUHW-represented workers to successfully petition an arbitrator for increased staffing. In 2015, Leno marched on picket lines with NUHW-represented mental health clinicians at Kaiser during multiple strikes to improve access to care. NUHW endorsed Kim to succeed Leno in the State Senate. A civil rights attorney, Kim served as President of the San Francisco Board of Education before being elected to the Board of Supervisors in 2010. During her tenure, she spearheaded passage of a citywide $15 minimum wage and led the movement to provide free tuition at City College for San Francisco residents. As President of the Board of Supervisors in the early 1990s, Alioto was the Board’s strongest supporter of healthcare workers’ organizing efforts and struggles for quality care and good jobs, as well as its top advocate for homeless services.